Workers at Local 1014L in Ohio reached a tentative agreement with Cleveland Clinic Akron General on March 14, which ratified overwhelmingly just days later. With very few concessions on minor issues, the three-year contract includes improvements to language as well as significant wage increases, particularly for veteran workers. The contract also includes a new seniority-based layoff system by department and classification, with all bumping rights remaining intact. The bargaining committee was also able to set the minimum wage for all classifications to $14 an hour in 2019, with an increase to $15 an hour starting April 2020, though many workers already earn more. 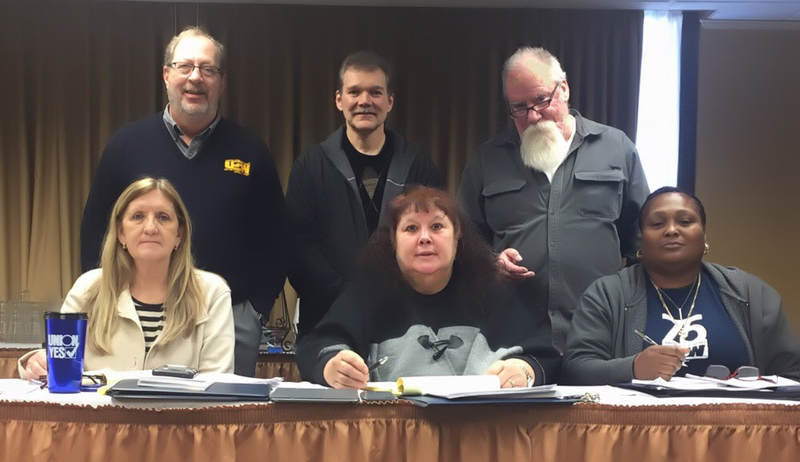 Bargaining began in January 2019, and though negotiations laid out a tough terrain, the local’s unwavering commitment to obtaining the best possible contract inevitably paved the way for success. “We were prepared to stay there as long as we needed to,” said O’Daniel. Local 1014L covers 930 members who are all part of the technical, clerical, and support staff of Cleveland Clinic Akron General in Akron, Ohio.